When Mr Selfridge decides to open a beauty counter in his store, we are treated with lots of eye candy! Perfumes and toiletries start to appear on the counters just before the entrance door. 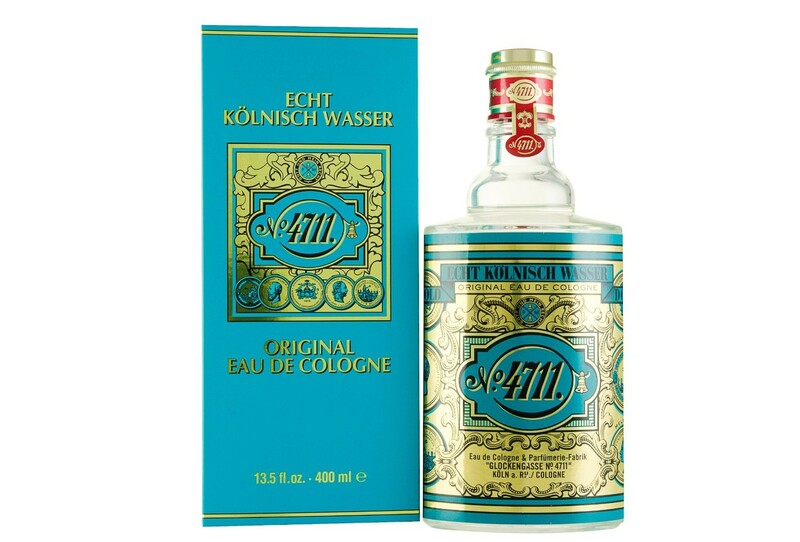 In the screencap above, some bottles of Mäurer & Wirtz 4711 Original cologne can be seen, along with some round soaps by Roger & Gallet. I’m not sure about the scents of the white and pink soaps, but they could be discontinued. As a matter of fact, their boxes and packaging could be coming from the 1980s, definitely not from the most recent collections. 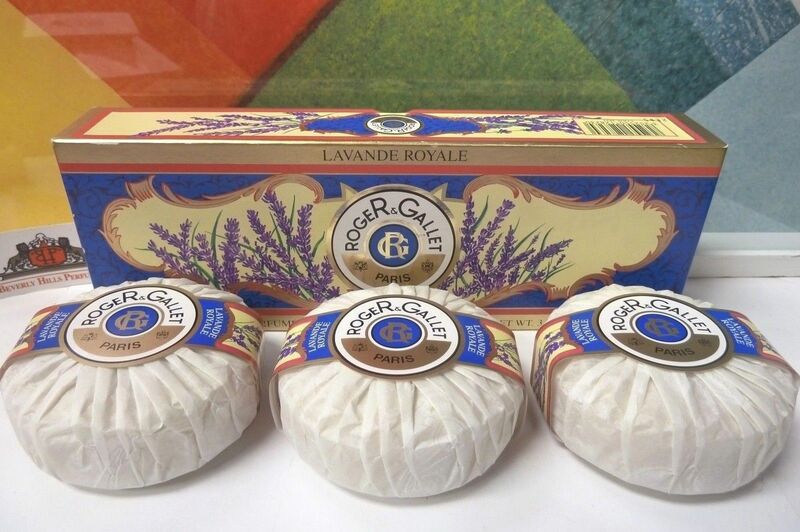 Contemporary Roger & Gallet soaps are wrapped in tissue paper, as usual, but they only have a round sticker – not a wrapping label. Some flacons bouchon coeur by Guerlain can be seen on another counter. Most of them have no label, so it’s impossible to know what perfumes they contained. One thing is certain: their glass stoppers tell us they’re from before 1962, year in which plastic stoppers replaced the glass ones. 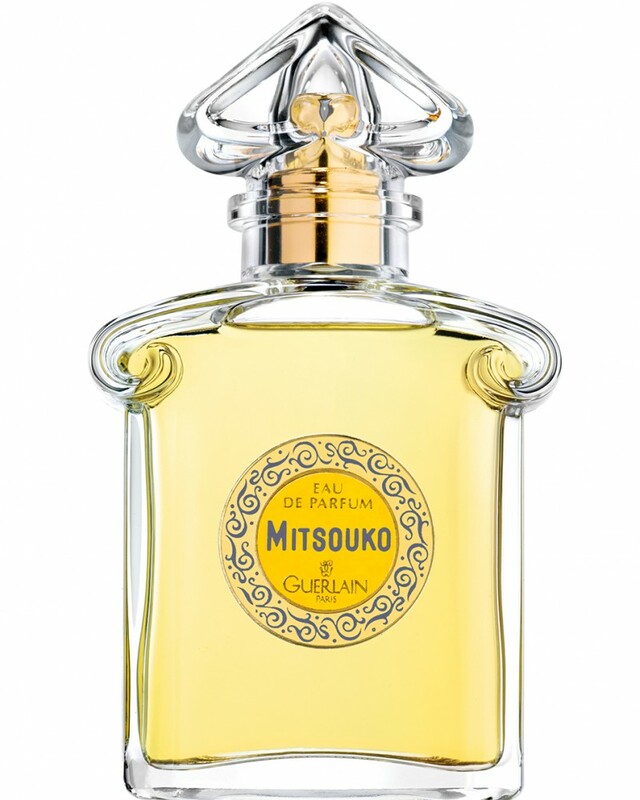 As for the Mitsouko modern bottle, the pump atomizer is a nice way to give it a vintage feel. Agnes Towler (Aisling Loftus) meets Henri Leclair (Grégory Fitoussi) in the beauty department. 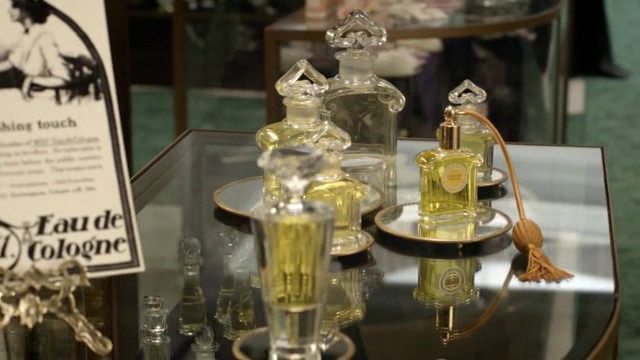 They have a short conversation about perfumes, from which we learn that Agnes is a classic British girl, who loves traditional perfumes like Yardley Lavender. The aromatic fougère, launched in 1919, is another not-historically-accurate choice, but it works. Beautiful! A inspiration for me.